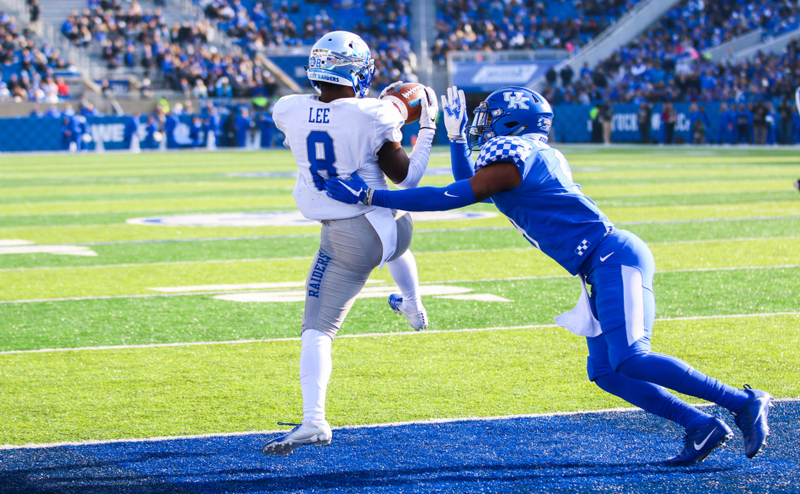 The Middle Tennessee State Blue Raiders came into the game against the Kentucky Wildcats as 15-point underdogs, but they didn’t look like it, even after falling to the Wildcats 34-23 Saturday in Lexington. It was a wild game that got off to a rough start for the Blue Raiders. After the first quarter, it was 17-0, and at halftime, it was 24-10 with the Wildcats on top. However, the Blue Raiders had more yards gained on offense. A pick six off of Brent Stockstill is what ultimately changed the game. 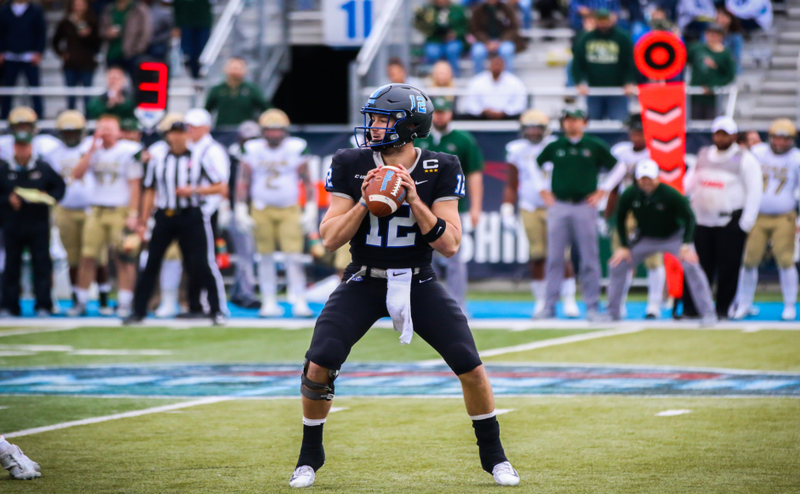 The Blue Raiders were down 31-10 at one point in the third quarter, but they rallied back and gave the Wildcats a run for their money. “They kind of beat us at our own game,” said Kentucky head coach Mark Scoops. The Blues Raiders started the game really good for the first three plays, and then the Wildcats defensive back Mike Edwards picked off Brent Stockstill off after a high pass. The Blue Raiders came out in a number of odd formations to catch the Wildcats off guard. Chaton Mobley was running downhill early on the game. The running game was starting to pick up speed, but another early turnover set the Blue Raiders back again. Mike Edwards came up huge for the Wildcats again, as he forced a fumble and put his mark on the game early with a pick six to go along with a forced fumble. The Wildcats got help from Benny Snell, their running back who is the second leading rusher in the Southeastern Conference. Snell showed up early with 12 carries for 78 yards in the first quarter, but he wasn’t the only back featured in this game. The Blue Raiders’ Chaton Mobley had himself a game as well and steadily moved the ball forward on a consistent basis. Mobley gave the Blue Raiders the confidence they needed after being down 17-0 after the first. Even with the score the way it was early, the team knew they could still compete in the game. The Blue Raiders defense finally showed up with a big sack by Khalil Brooks to hold the Wildcats to a field goal. Stockstill threw a swing pass to Zack Dobson on the ensuing drive and broke free for 25 yards up the sideline near Kentucky territory. Stockstill and Mobley led the Blue Raiders on their fifth possession down the field to a touchdown. Stockstill connected to Mobley with a short pass on fourth down, and the lead was cut to 10. Just when the Blue Raiders cut the lead to 10, the Wildcats took it right down the field quickly, and Kentucky quarterback Terry Wilson connected on an 11-yard dart for a touchdown that went through the hands of Blue Raider defender Wesley Bush. 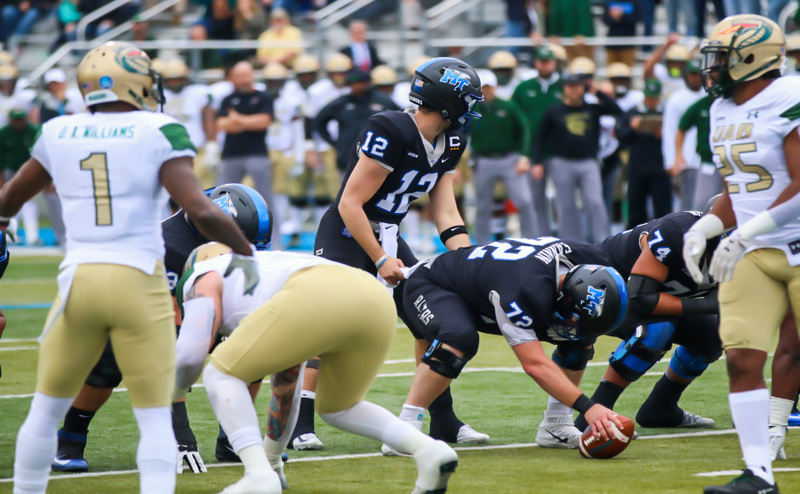 The Blue Raider offense continued to move the ball despite the Wildcat score. The screen passes were beginning to click for MTSU, and Ty Lee took another screen pass for a 25-yard game. However, the offense stalled out after Stockstill took a sack and squandered a scoring opportunity. The Blue Raiders would not go away, adding another score to bring the deficit back to 14. The Blue Raiders slowly chipped away at the Wildcat lead and cut even closer at the start of the fourth quarter. Blue Raider wide receiver Patrick Smith caught another screen pass thrown from Stockstill for a touchdown and made it a one-possession game again with 13 minutes left. The Blue Raiders defense made a huge stop on fourth down when Wilson tried a quarterback sneak on fourth down. 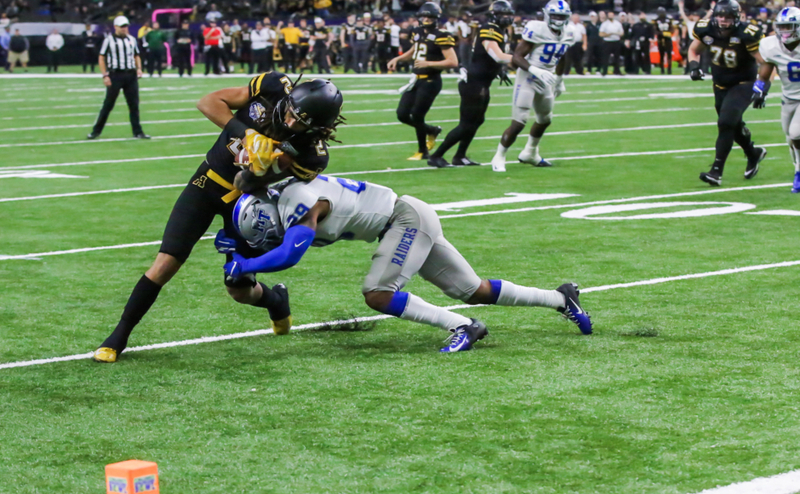 MTSU’s offense had the opportunity to drive down the field and tie the game potentially, but the Blue Raiders went for it on fourth down too and failed to convert. That spotted the Wildcats three more points on the following possession to make it 34-23. 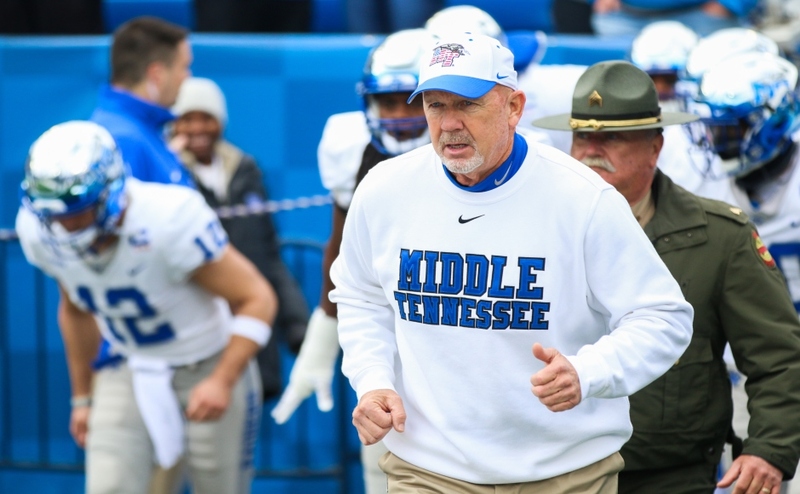 The Blue Raiders’ final push for the game stalled after Stockstill was sacked yet again on fourth down with 20 seconds left. MTSU gained more total yards, more first downs and held the ball six more minutes than the Wildcats did for the game. The two early first quarter turnovers are what caused the Blue Raiders to go down in a hard-fought game. Senior Day is next week, and head coach Rick Stockstill said he hopes every person in Murfreesboro comes out to support the seniors. The Blue Raiders will take on a good University of Alabama at Birmingham squad, who are 7-0 in conference play and 9-1 overall. Senior Day will be Saturday against the UAB Blazers at 3 p.m.